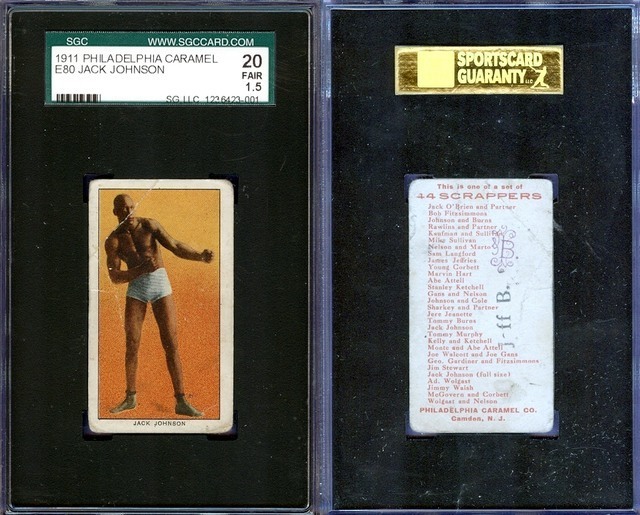 Normally, this card has a lot going for it--Jack Johnson from a very difficult pre-war E set (E80). What makes this special is the stamping on the card back. I've seen this before--in a museum, when I went to research my book at the Met's Burdick Collection. The stylized "B" and the "Jeff B." indicate that this card was once the possession of none other than the creator of the American Card Catalog, Jefferson Burdick.